Stumped on presents? Check out these gift ideas for kids. It’s easy to find toys for kids. What isn’t easy is finding the right toys: the toys that will add value to their lives and have years of “shelf life”. Those are the gift ideas for kids that I’m always looking for. Play is the work of childhood and good toys are the tools they need. But how do you find the right toys for active kids who love to move? Check out these gifts ideas for kids! 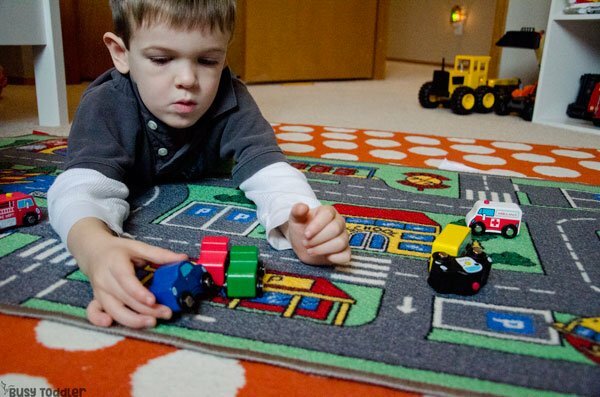 Some of the best toys you can get for kids are toys that invite them to get up and get moving. 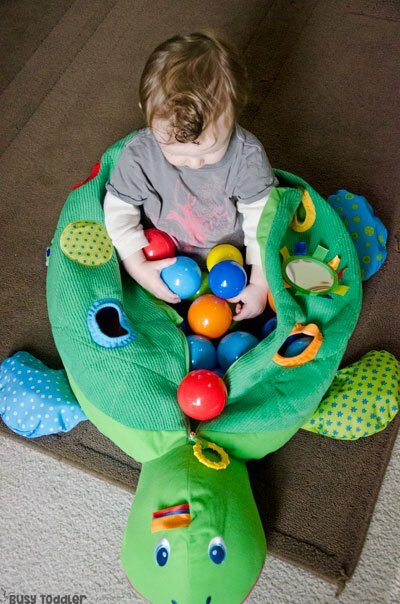 From babies to preschoolers, these toys are invaluable to their growth and development. 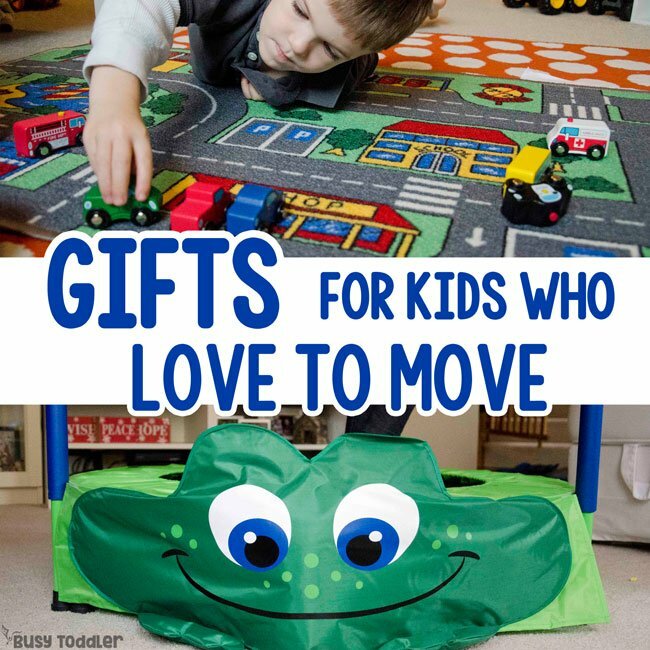 Here are 3 toys my kids love moving with. 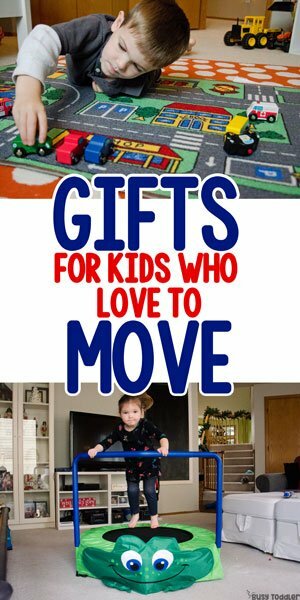 Have a kid who loves to move? The Super-Safe Froggy Jumper is fantastic for active kids. 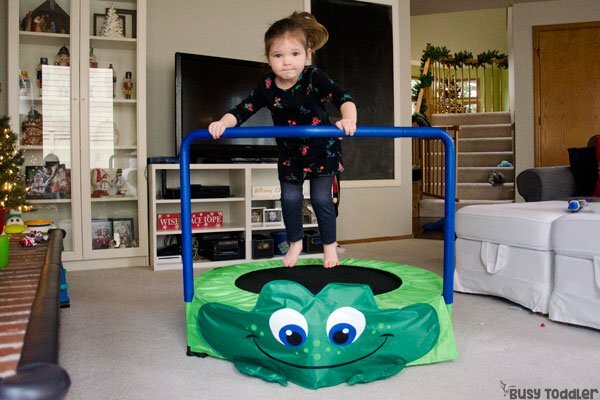 This trampoline has it all: a cute look, a perfect size, and a safe design. 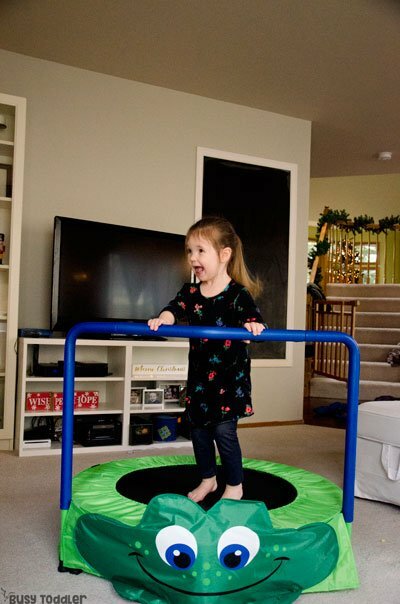 My kids love bouncing on their jumper and we love making a game out of it. 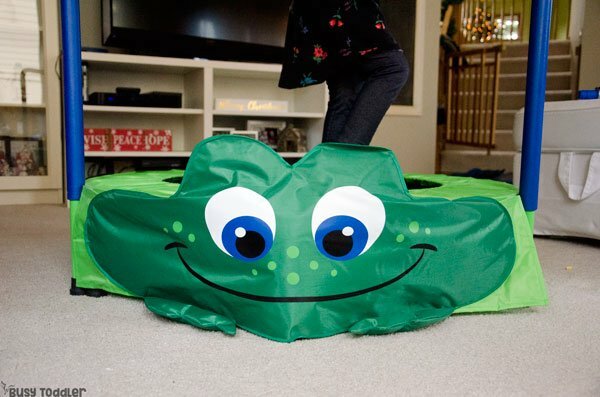 What a great toy for an active kid especially on rainy or stuck inside days. 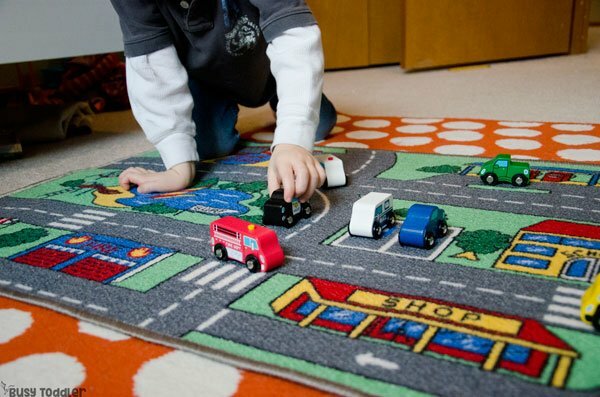 The obsession with this Around Town Play Carpet and Around Town Vehicles is REAL. 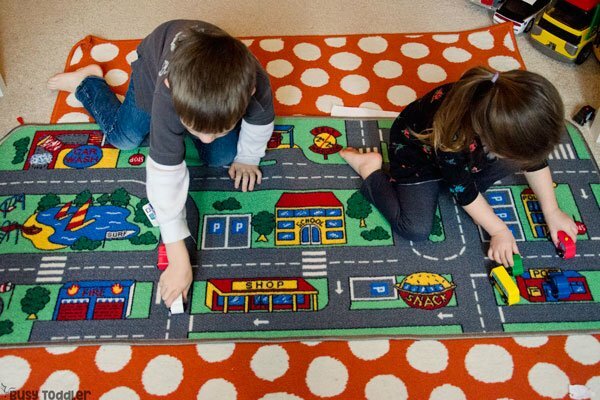 And it’s an obsession my toddler and preschooler share – they build entire worlds around this carpet. It’s the center of their play space and for good reason: it invites so much imagination. It’s a perfect “get your body involved” activity because you just have to drive the vehicles all around the town. My kids are crossing their mid-lines, reaching and stretching as they play. They get their whole bodies active. Need a gift for an active baby? The Let’s Play! 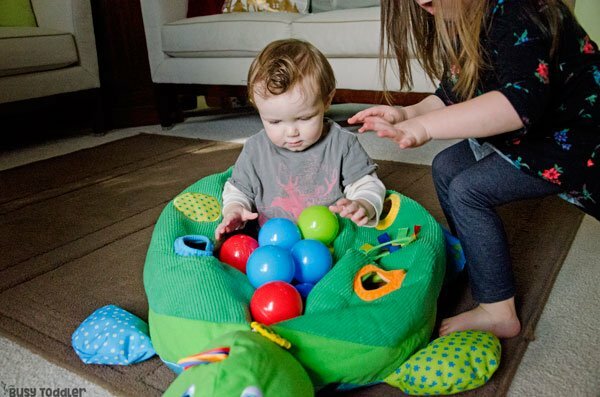 Sensory Ball Pit is perfect for babies (and their big siblings). The Let’s Play! 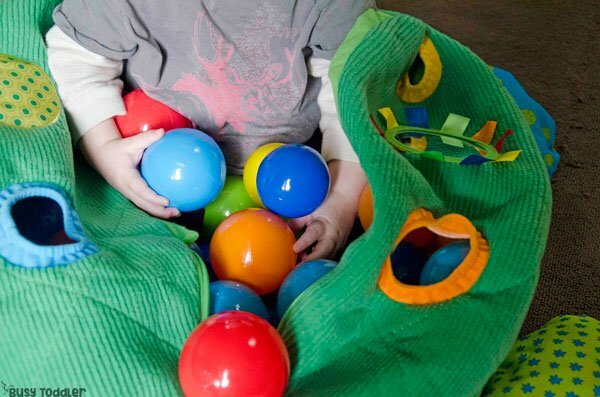 Sensory Ball Pit makes for one awesome and unique gift- something that busy babies will love. 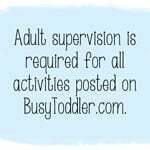 It’s a great independent (but supervised) play opportunity for babies on the move. I love using toys from Lakeshore with my active kids because they’re well made, educational, and engaging. The kids love playing with them and they invite so much moving. Lakeshore toys are always great like that. 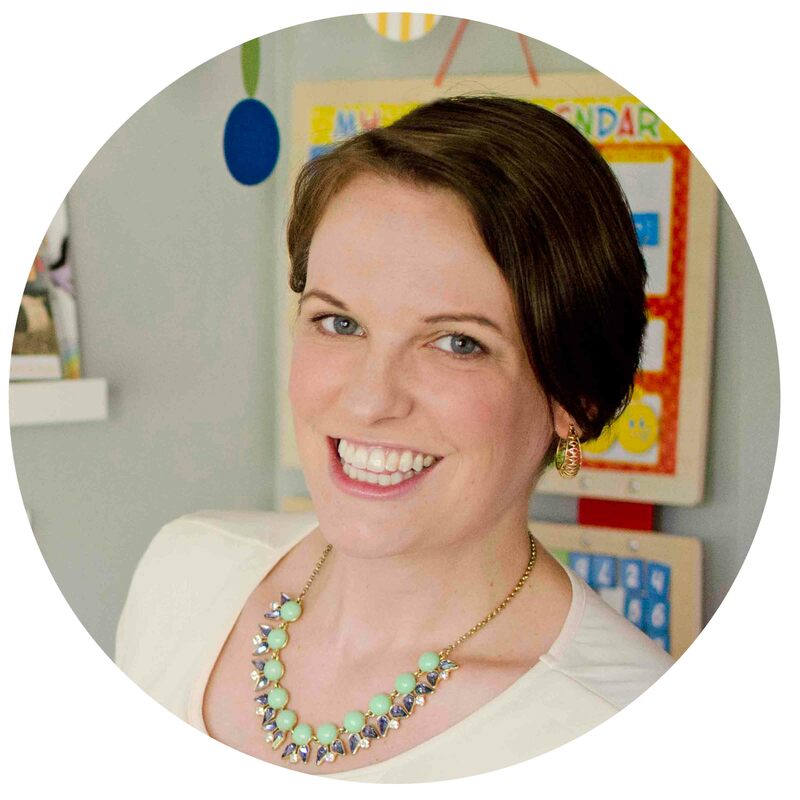 After all, they’re teacher designed, expertly tested, and full of amazing play potential. These three toys are all part of Lakeshore’s Gifts for Growing Minds catalog, full of awesome gifts for ages birth to 11. Many of the toys featured are exclusive to Lakeshore. Looking to grab some gifts for your busy kids? 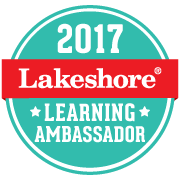 Use this 20% off coupon from Lakeshore Learning! To learn more about Lakeshore, find them on Facebook, Instagram, Twitter and Pinterest.